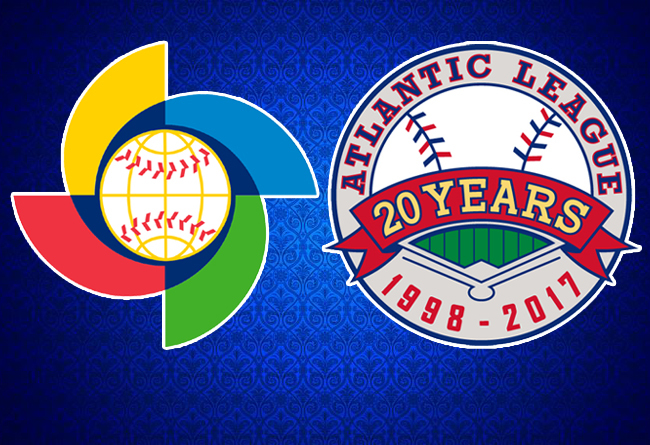 (Denver, CO, Feb. 10, 2017) – 22 players who have played in the Atlantic League will be representing countries in the 2017 World Baseball Classic, according to the 16 team rosters announced by Major League Baseball. Pool play will begin on March 6 in the four respective host sites sites. The top two teams from each pool will advance to the second round of the tournament, which will be held in Tokyo from March 11-16 and San Diego from March 14-19. The final four teams will then take the field at Dodger Stadium in Los Angeles between March 20 and 22 to determine the World Baseball Classic champion. Visit www.worldbaseballclassic.com for more information.